to provide the ultimate UVA/UVB protection"
Earlier this week, I was flipping through a beauty industry magazine, and a statement made by a dermatologist caught my eye. According to Dermatologist Alicia Barba, MD, "The easiest way to prevent skin cancer is to use an antioxidant prior to applying an SPF of 30 or higher. Antioxidants complement sunscreens to provide the ultimate UVA/UVB protection, while also correcting accelerated signs of aging." For all that we hear about applying SPF as part of your daily skin regimen, I had never heard of the combination antioxidant/SPF prior to reading this. Maybe I am out of the loop and a little behind on this nugget of knowledge, but, needless to say, I was intrigued. 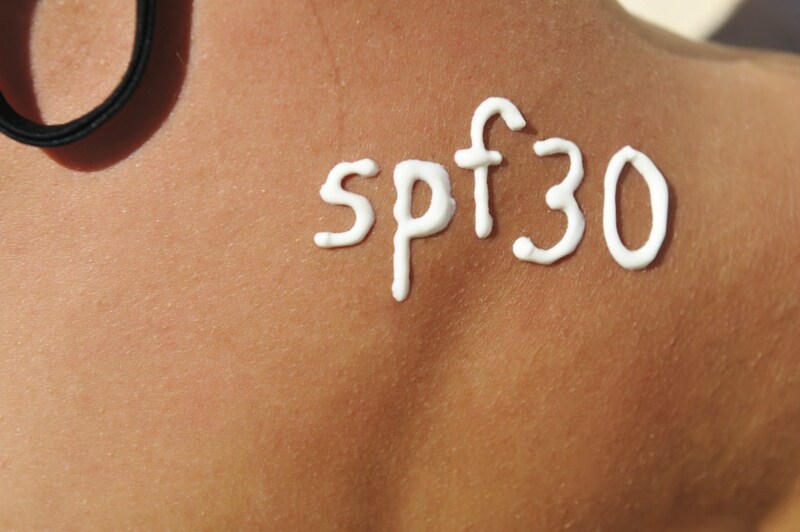 Working within the beauty industry,concerns about sun damage is the source of daily conversation, so whenever I hear anyone mention the magic letters "SPF," my proverbial ears perk up and I take notice. I did some digging after reading the statement from Dr. Barba, and I came across a news release from the American Academy of Dermatology dated August 4, 2011. In it, Dr. Steven Q. Wang, Director of Dermatologic Surgery and Dermatology at Sloan-Kettering Cancer Center in NJ, discusses the use of antioxidants in conjunction with SPF. According to Dr. Wang, "Theoretically, supplementing sunscreens with antioxidants could boost the body’s natural defense against the formation of UVA-induced free radicals; therefore serving as a second layer of protection against UV radiation that passes through the first layer of UV protection." The American Academy of Dermatology goes on to note that antioxidants become unstable when added to sunscreens, and it is difficult to determine the final concentration of antioxidants in each product. What does this mean for skin-care professionals? Sunscreens with added antioxidants may mean the future of sun protection, but skin care professionals are in an excellent position to begin recommending their clients take advantage of this "second layer of protection" against UV and free radical damage now. Blueberries, Strawberries, Tomatoes, Olives, Grapes, Pomegranate, Avocado, even Chocolate! When discussing skin care regimen with your clients, recommending a good moisturizer (both for the face AND body) which contains anti-oxidants is a good place to start to amp up UV protection. Discussing the potential benefits of applying an anti-oxidant-rich moisturizer before applying daily SPF, and having a good anti-oxidant moisturizer as a retail product in your practice is a great way to boost your retail sales while educating your clients about the importance of UV protection. Everyone should apply suncreen with an SPF of 30 or higher daily. VINEYARD COLLECTION Grapes 17 oz.